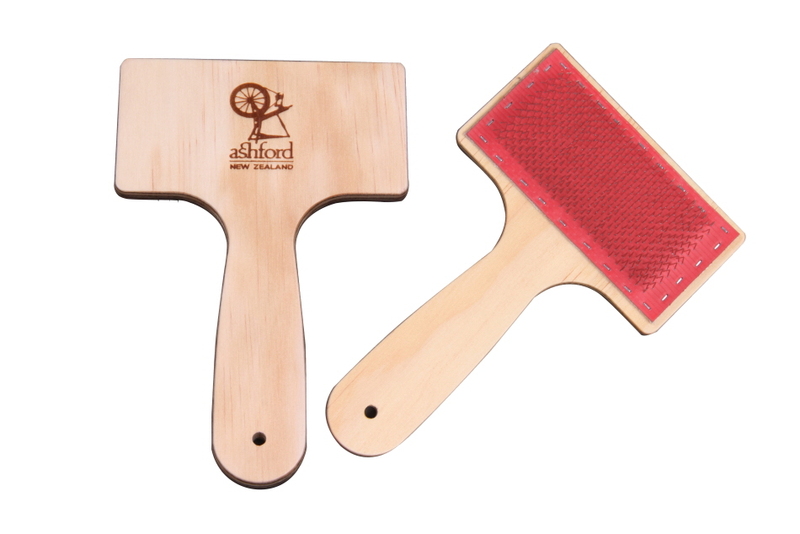 For preparing individual staples of fleece wool. The turned handle is comfortable to hold and use. The medium 72 point cloth has stainless steel wire and long-lasting rubber backing. The Silver Beech hard wood is durable and robust. 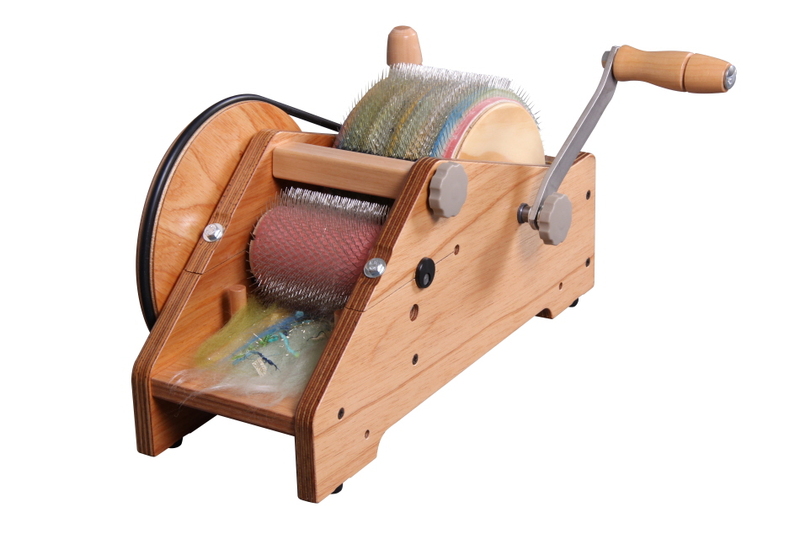 The flick carder can also be used for cleaning the drum carder. This new model has even more flexibility and control when carding and blending. 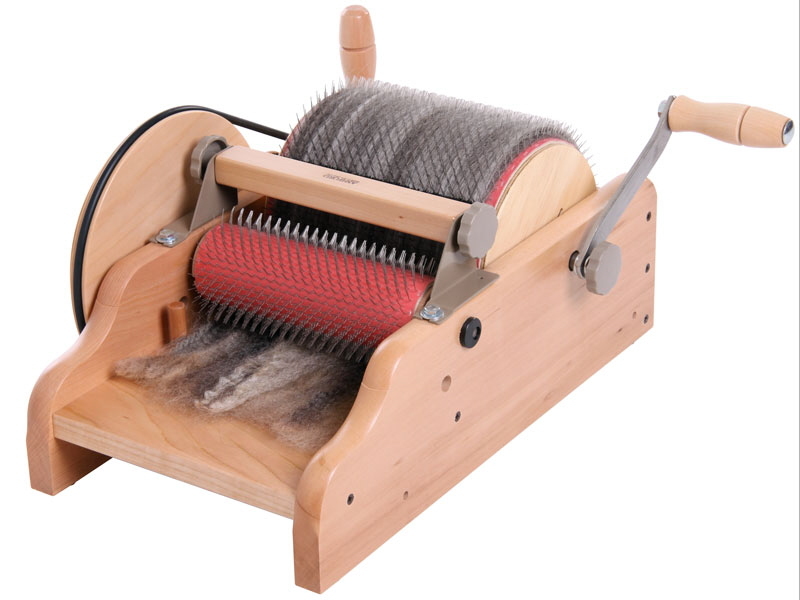 The controlled intake and carding will produce a smooth even batt ready for blending, spinning or felting. Adjustable drum clearance – allows you to set the teeth distance for total control of your fibre. All nylon bearings ensure it is light and easy to turn. The card cloth has wire teeth with a special protective coating and a flexible rubber backing for long life. 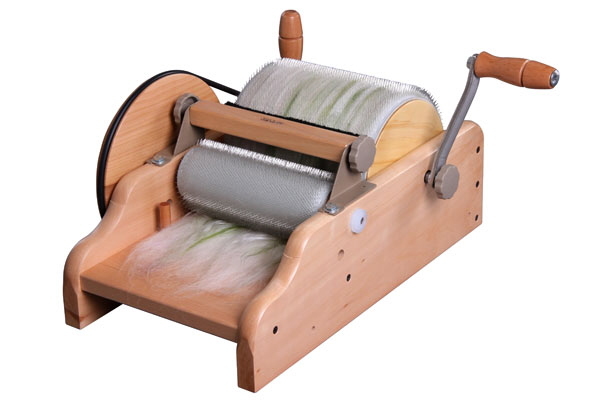 The carder is strong and robust with the body made from Silver Beech hardwood. It comes assembled and lacquered ready to use. Make unique blends for art yarn. 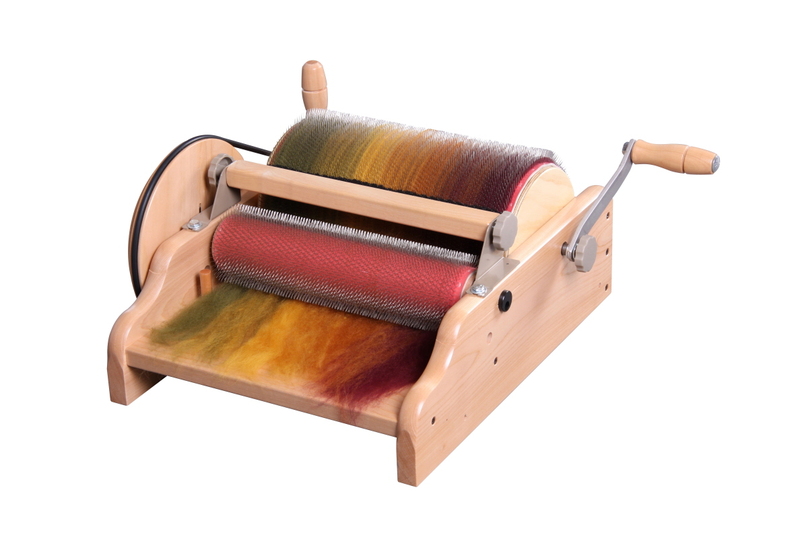 The Wild carder has been specifically designed for today’s fabulous, fun and funky art yarns. 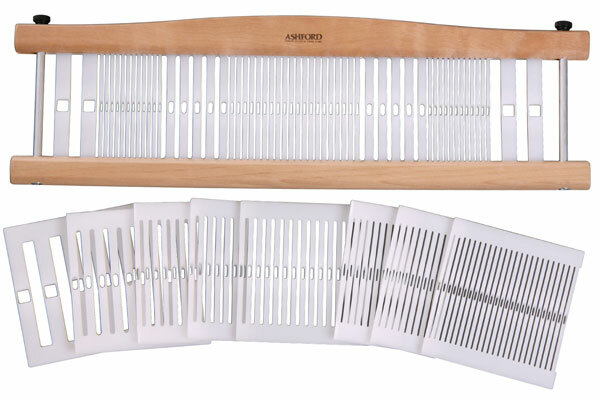 The extra long 72 point teeth allow you to include differing fibres, fabric, ribbons, feathers, paper and novelties to create unique blends. 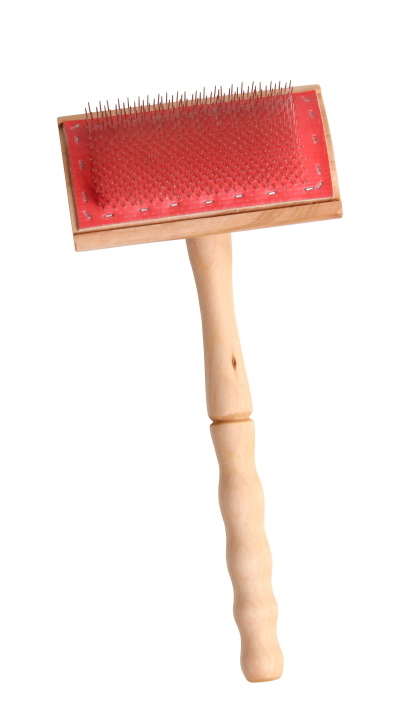 The packer brush is adjustable and will control fine, low-crimp fibres and increase the size of the batt. The drum clearance is also adjustable which allows you to set the teeth distance for total control of your fibre. All nylon bearings ensure it is light and easy to turn. The card cloth has wire teeth with a special protective coating and a flexible rubber backing for long life. 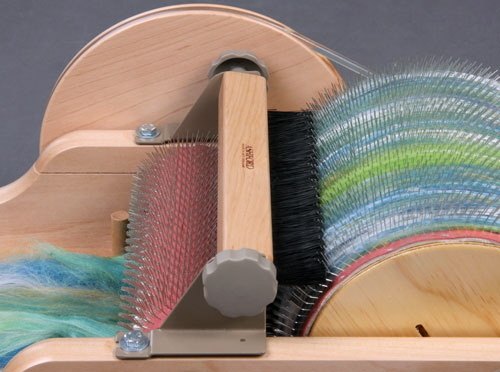 The doffer and cleaning brush are stored on the carder. 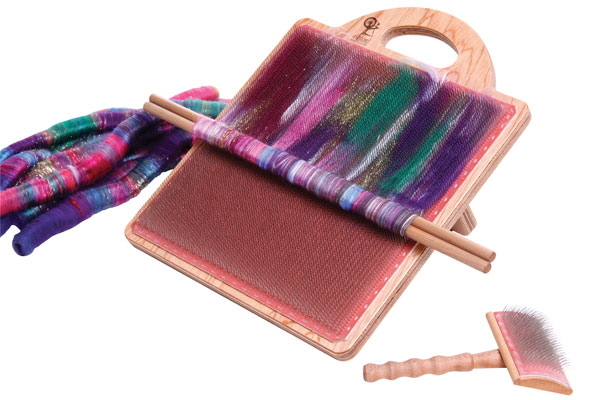 The carder is strong but lightweight with hand hold for easy carrying. 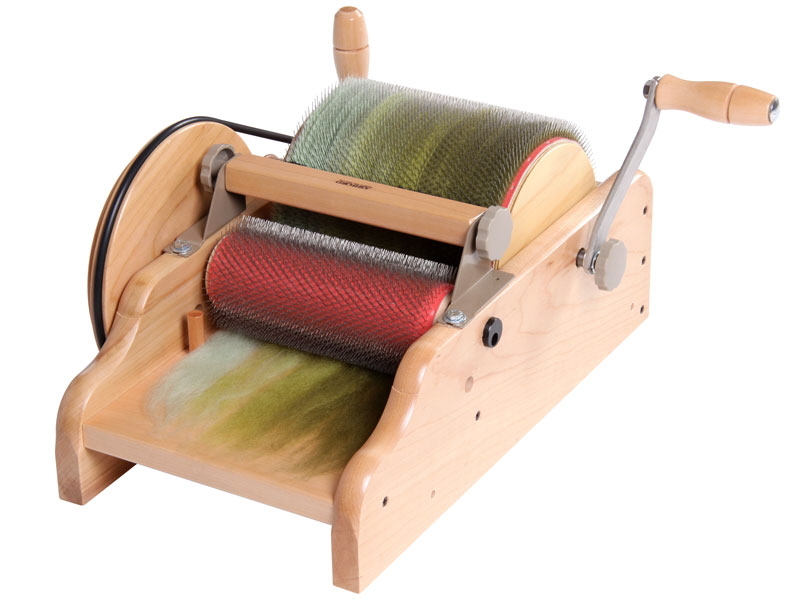 The carder has rubber feet to prevent it slipping. 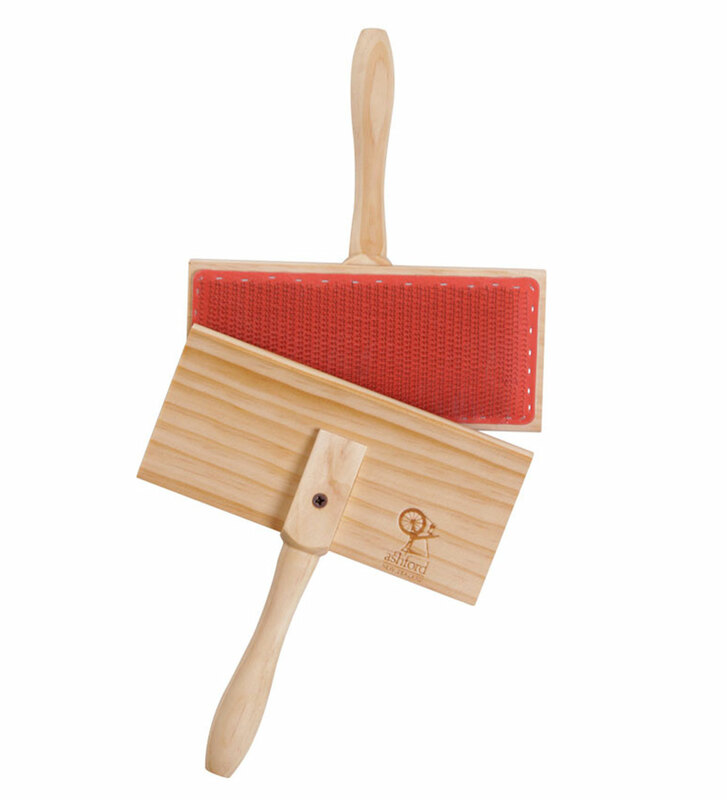 Adjustable packer brush to smooth, control and pack more fibres onto the large drum. Card mohair, angora, alpaca and other fine low crimp fibres. 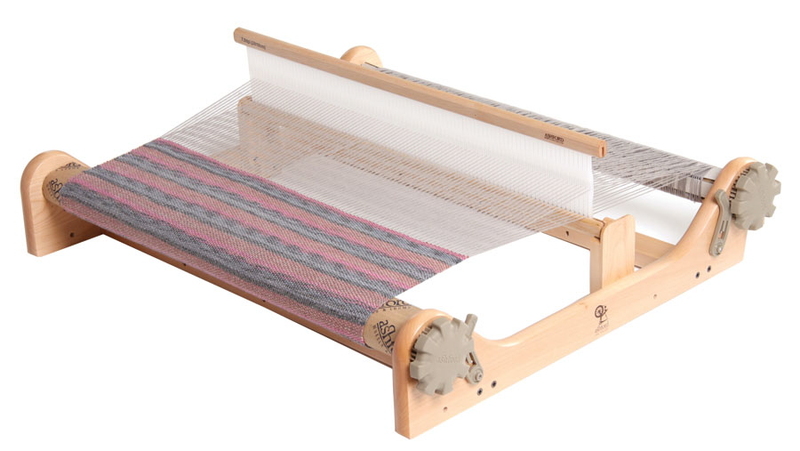 This affordable rigid heddle loom is quick and easy to use. Everything is included in the kit. Quick and easy to assemble and warp. 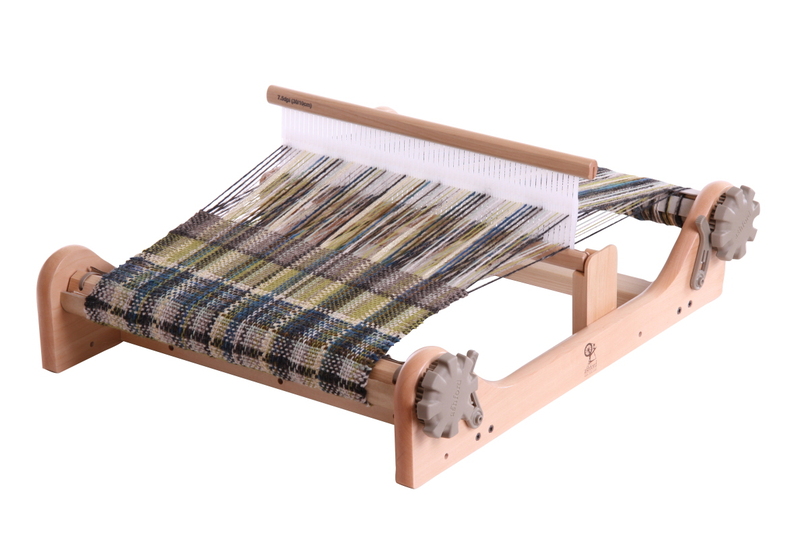 The rigid heddle is a great introduction to hand weaving but is also very versatile. 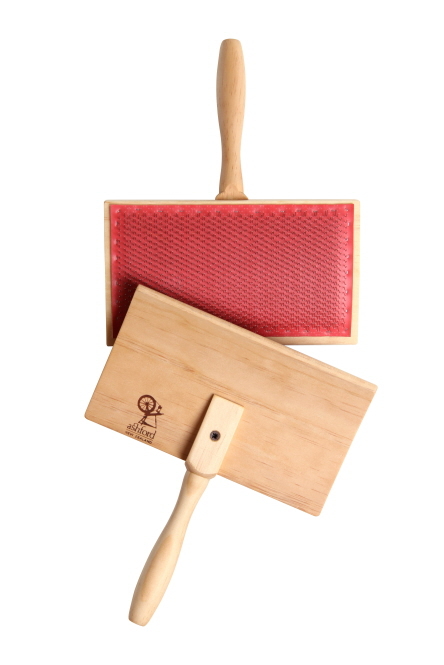 Included accessories: Reed nylon 7.5dpi (30/10cm), 2 x natural shuttles 30″/76cm, step by step instruction booklet, threading hook, warping peg and clamp. 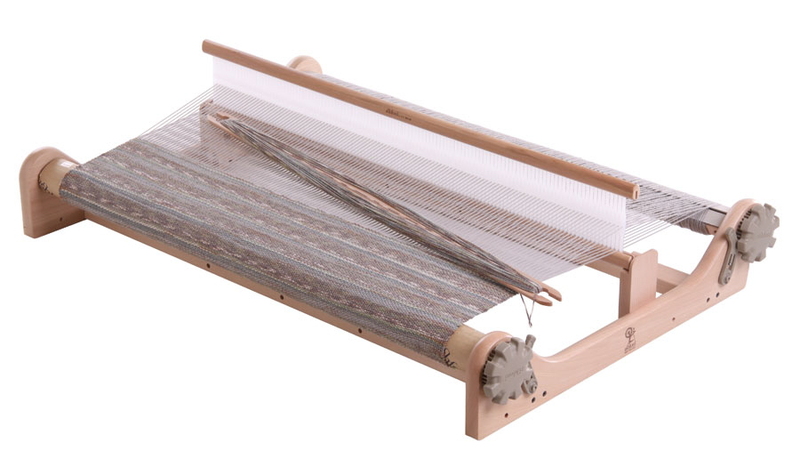 Please note: loom pictured is a 32″ Rigid Heddle Loom. 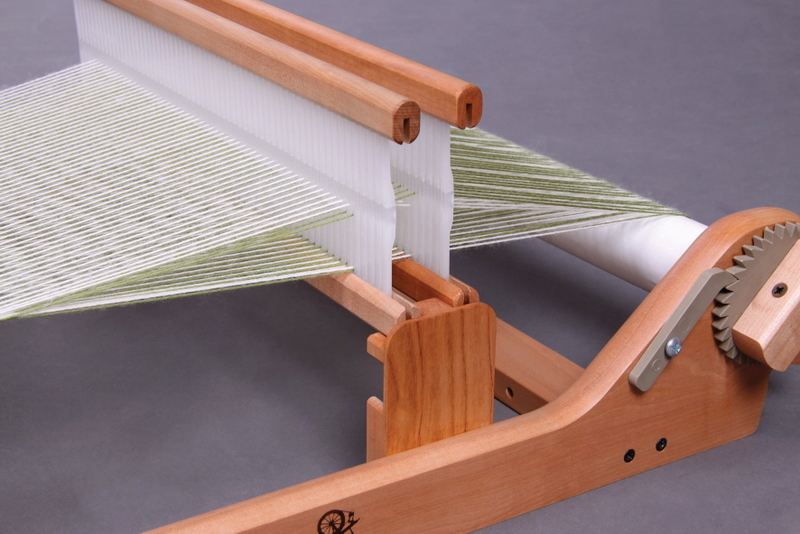 For the 16″/400mm Rigid Heddle Loom. 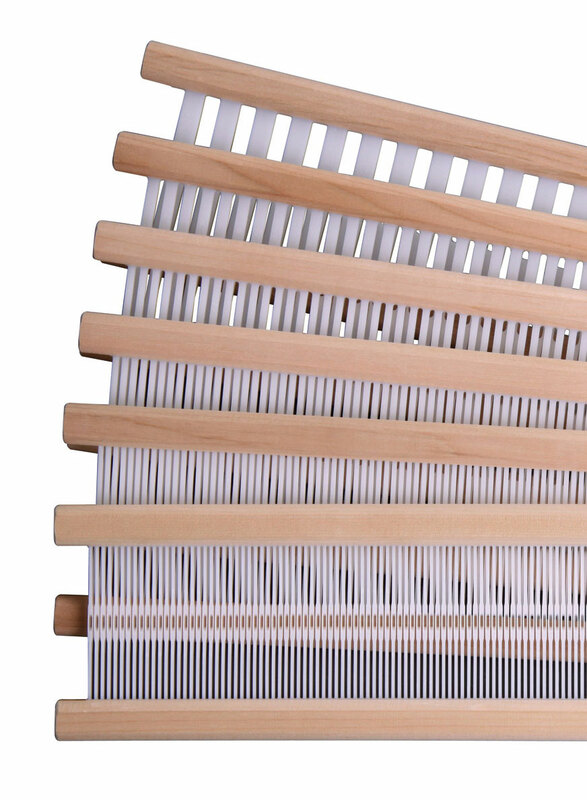 For the 48″/1200mm Rigid Heddle Loom. 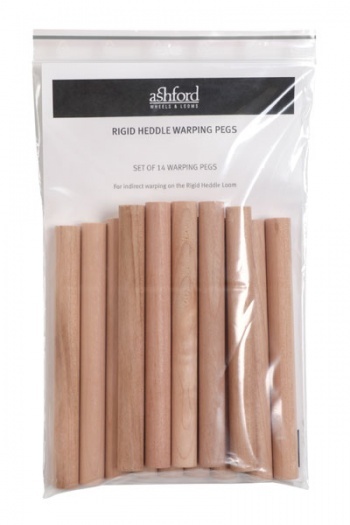 For multi heddle weaving. 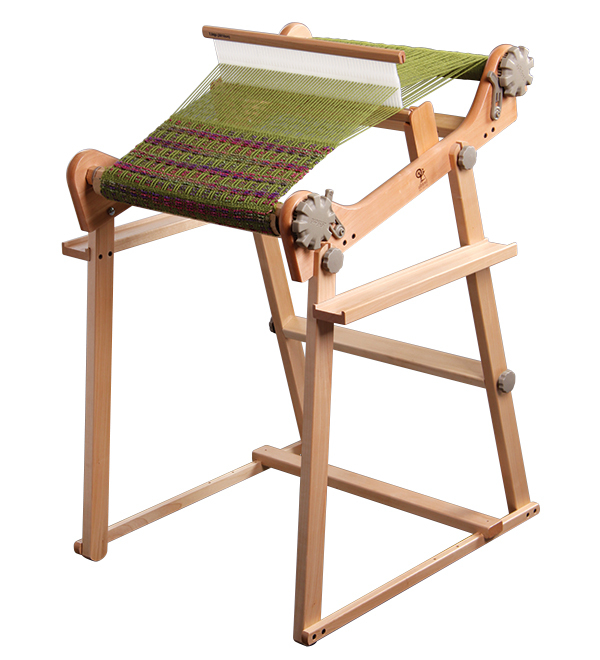 Kit includes two support blocks that are easy to attach as your rigid heddle has predrilled holes. 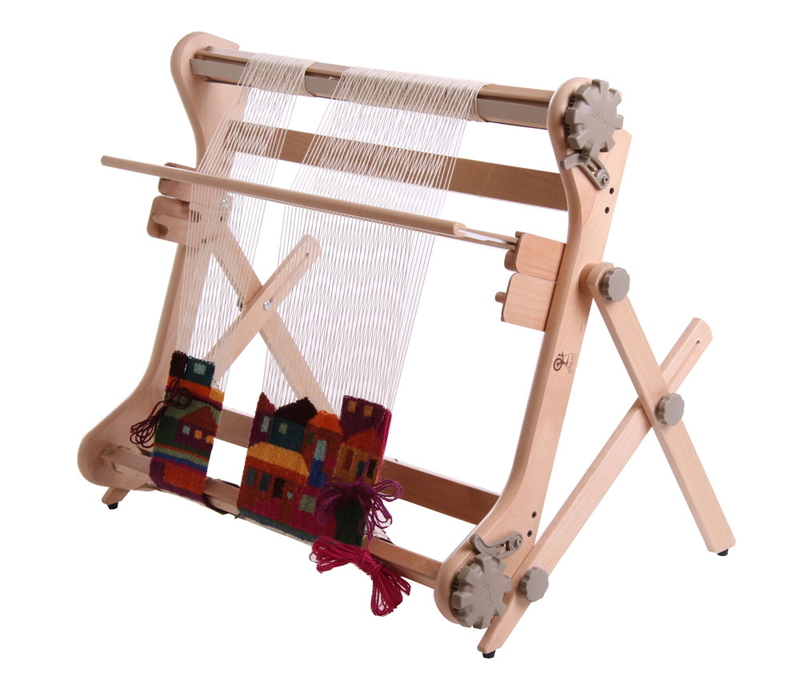 Instructions for weaving with the two heddles and patterns are included. 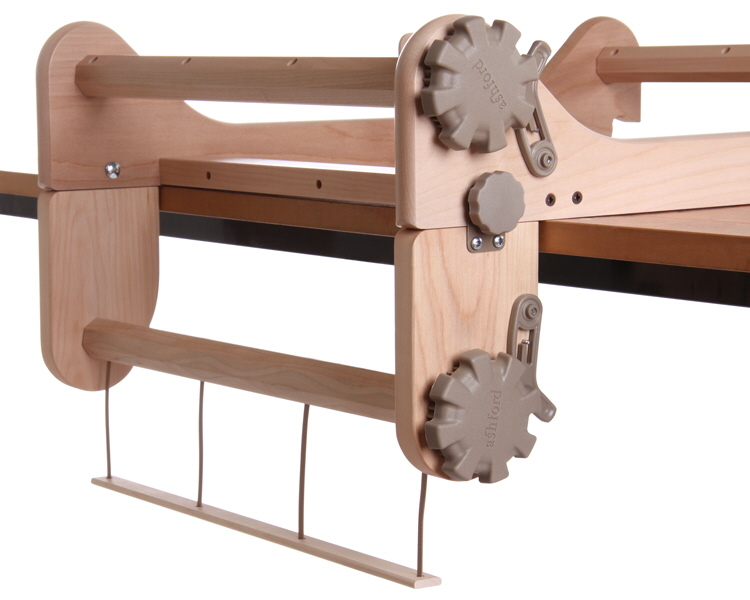 To fit into holes on the back of newer Rigid Heddle Looms, to make a warping frame.